How will AI Affect My Business in 2018? Automation is here to stay. What does that mean for customer interaction? How Will Artificial Intelligence Affect My Business in 2018? While we have made some advancements in recent years in the field of artificial intelligence, the “rise of the machines” is not going to happen anytime soon. 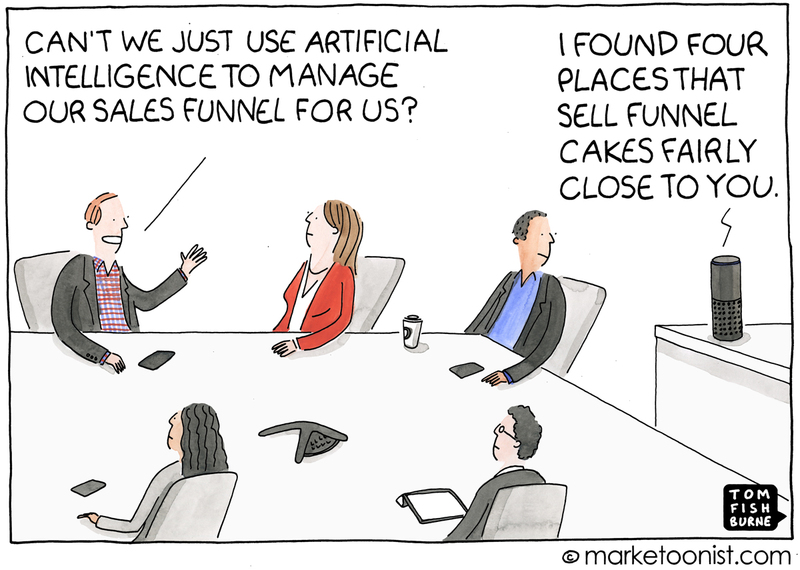 Cartoon by Tom Fishburne. By understanding artificial intelligence technology, and how it can benefit advertising and marketing efforts, you can be better equipped to implement them in your business. Research firm Markets and Markets estimates that the machine learning market will grow from $1.41 billion in 2017 to $8.81 billion by 2022! Facebook has been a pioneer in gearing ads to specific audiences using algorithms and recent search history, and that idea is going to continue to expand. AI will generate leads through personalization and real-time content targeting. What does that mean exactly? Social media networks can “learn” your habits, when you are online, what kinds of ads you click on, and the kinds of purchases you make. As you continue to use that platform the algorithm will begin to predict your next purchases and build a personalized profile for you. The best way to make sure you are making the most out of this technology is to truly know your audience by using semantic analysis and reviewing the content you produce and the audience response. Also known as “conversational agents” – are software applications that mimic written or spoken human speech for the purposes of simulating a conversation or interaction with a real person. 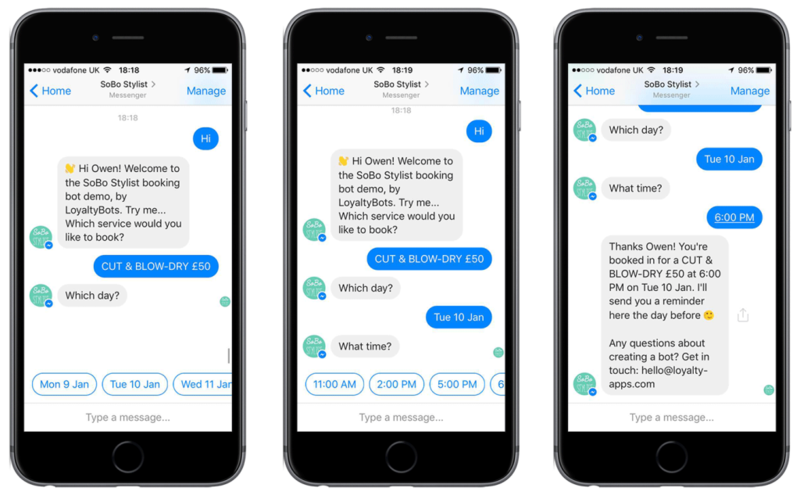 Chatbots are becoming most commonly used during in-app experiences to perform simple tasks and to help with customer support. The customer support application is building momentum as bots are now becoming the first “agents” that can search the database for your account details. This has streamlined processes so that human agents can assist customers readily with more complicated issues and allows more customized care. You can create a bot for your business that performs easy tasks like bookings, making appointments, managing customer loyalty programs and even food ordering! Amazon’s Echo, Google Home and other smart speakers have exploded in popularity as they assist users in completing a simple task or making a purchase. This is the newest technology on the list but it is on track to revolutionize how searches for restaurants, businesses and most importantly, online shopping, are conducted. Last year, 29% of consumers used a voice-controlled device for online shopping, and an additional 41% plan to use one to help them shop in the future. Studies have already found that customers are spending more money after the purchase of a smart speaker. If you have a product to sell, make it easy for voice shoppers to find you! Add bullet points to product descriptions (so Alexa can read them easily) and integrate Google Maps into your online platforms so shoppers closest to you can discover your business.